Airline tickets are expensive especially if the cost of the ticket is coming out of your pocket. Here are some flight search tips I use which will help you save lots of money for your next trip too. I did this just last month and saved close to $3000 on a last minute trip to the UK. Flying from Atlanta to the UK cost $3500, but a ticket from Boston to the UK was only $720.00. I used frequent flyer miles to get from Atlanta to Boston. If planning an international trip look around, use Jet Radar’s Prices on a Map and set your departing airport as your destination airport. Then look for the best price to an airport in your home country. After you have found the best price, use that airport as your departure airport when booking the flight. When you do this, the price may be a bit different. But you have found the cheapest departing airport in your home country to your destination. The rule of thumb to finding cheap international airfare is to do a flight search from Boston or New York for flights to Europe, search Houston for flights to Mexico and Central America, and search Los Angeles or San Francisco for flights to Asia. Flying from Atlanta to Toronto Canada costs a fair bit. But a ticket from Chattanooga, TN to Toronto is about half the price. Chattanooga and Atlanta airports are only an hour and a half drive from each other. You can save quite a bit by pricing your trip from different airports within driving distance from home. You may have to take a connection, but the savings are worth it. If you are flexible, play with the dates. Jet Radar Prices on a Map flight search will let you search by period, which breaks down into month and season, and trip duration. Also, Kayak.com will do this and include pricing from alternate airports. 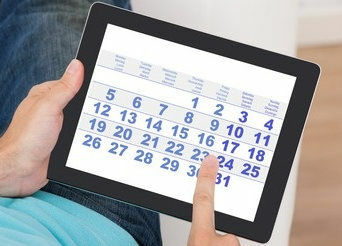 You can also use the best flight price calendar on this website. A lot of airline sites now have their own airfare calendars you can use when pricing that airline tickets. Find a flight with an extra-long layover can save on flight costs too. But here’s the cool bit, phone the airline customer support center with the details of each flight and ask for an even longer layover at the connecting airport. They will very often accommodate you for no additional charge, and you can use the time to sight-see in the connecting city. Iceland air and Wow Air are two airlines that let you do this when taking flying to Europe from the United States. They will allow you spend up to seven days in Iceland without paying additional airfare. Sometimes, it’s cheaper to buy a ticket on one airline to fly half way to your destination and buy a separate ticket on another airline to go the rest of the way. It works well when two airlines are in a fare war in a city, but it does have its risks too. You do have to plan a long layover time. You don’t want to miss the second flight in the event of a delayed first flight. I usually do an overnight layover, find a cheap hotel and take an early morning flight the next day. It works out well if you check luggage, and it goes missing. You can save on early morning flight deals too as these flights are hard to fill, and the carriers need to move the equipment. When I do a flight search on Jet Radar, I may find a good deal on a third party travel site. In these cases, I always check price shown on the airline’s website for the flight deal. Sometimes I can save a few extra bucks by buying the ticket directly from the airline. Third party websites sometimes add a few extra dollars to the airline ticket price to cover their costs and referral fees. 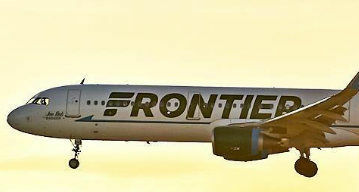 Some search aggregator sites prefer to show prices of third party sites as opposed to the price on the airline’s site. Presumably, this is because their commission is smaller from airline sites. Using Priceline’s “Name Your Own Price” is a good way of saving on airfare. The website claims savings of up to 40%. I’ve been able to save up to 62% in the past. The downside of Priceline is at the time you place your bid, you don’t know the airline, flight times, number of connections and where you have to make connections. Also, if you end up on your favorite airline, you will not earn any frequent flyer miles. If you’re adventurous and don’t mind paying before knowing, then Priceline is the way to go. Priceline bidding also works well for deals on last minute flights. The best cup of coffee I’ve had flying was one I paid for on Frontier Airlines. Discount airlines are well known for nickel and diming you to death. As a rule, I will only pay for one checked bag but never for a reserved seat. Discount airline carriers are useful when wanting to save money on long trips by missing and matching. Here an example, flying from New York to London, it sometimes works out cheaper to fly to Paris. Then take a discount carrier, in this case, EasyJet, from Paris to London. You will need to do the same on the return trip home. Some search aggregator sites such as Kayak.com don’t search all the discount airlines. Southwest Airlines is often missing, but they are on this websites flight search aggregator. If you don’t need to buy your ticket today, consider signing up for airfare price drop alerts. Two good ones are Airfare Watchdog and SkyScanner. They will email you should the flight price change. It’s a bit risky using this method as prices can go up and not down. If you find yourself booking flights at the last minute, check the price of Premium Economy and Business Class. As standard Economy Class fares sell out, the price goes up. But they may still be discounted airline tickets available for Premium Economy and Business Class. 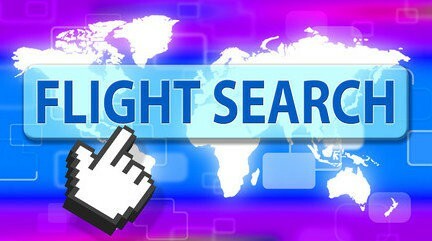 If you have any money saving flight search tips, please leave a comment here. Hey, Colin. Thanks for the tips. I’m looking to go to Raleigh early next week. Just depends on what I find for flights. I won’t stay long. One to two days at most. But it will make my Mom happy. Hey Paul, I’m in Texas next week. Maybe we can fly to Raleigh together.